Today, I reached 100 GFC followers, which for my little blog is a massive achievement. I've really enjoyed my blogging journey so far and have lots planned for the future! It still feels a little bit strange that people are actually reading my ramblings! 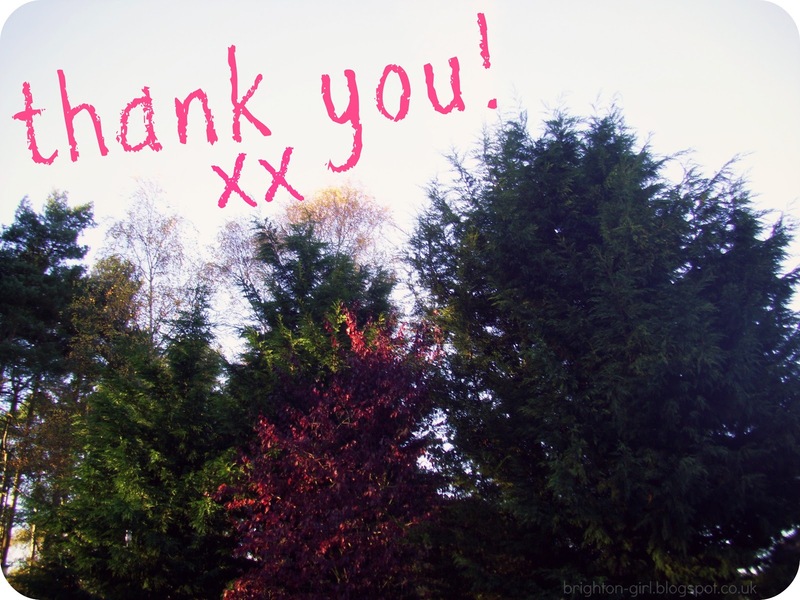 I just wanted to say Thank You to everyone who comes to have a little read, and who has commented or followed. I've got a giveaway planned for the new year, when Brighton Girl has it's first birthday, so keep your eyes peeled for that! Im still waiting for my 100 followers.